• 60 Minutes: What matters most – timeslot, lead-in or stories? Seven has traditionally rested My Kitchen Rules for the first weekend of the Easter break and then brought it back for the second. 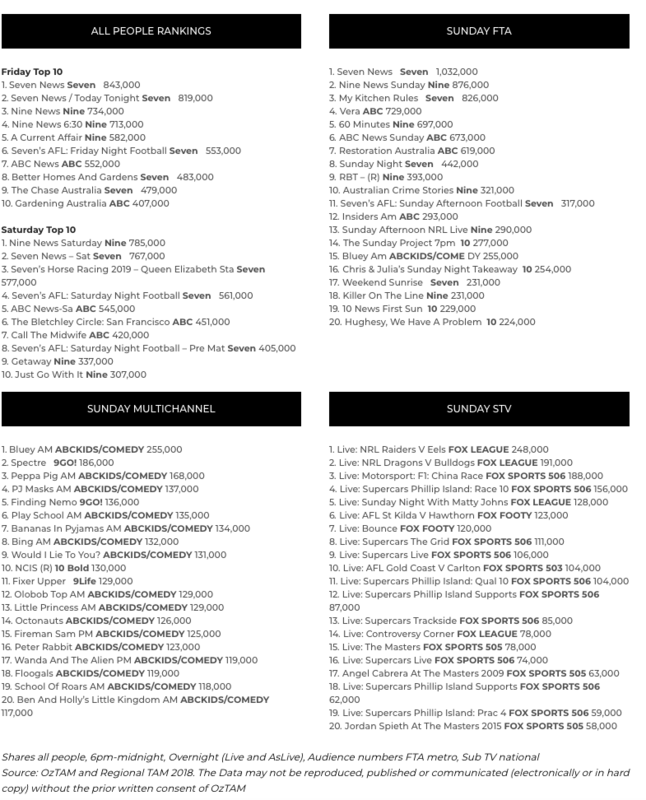 Not this year – MKR was a winner last night with 826,000 from 7pm, up from 784,000 a week prior. The first of what could be a long round of finals started with the seven top teams wanting to get to the semi-finals. 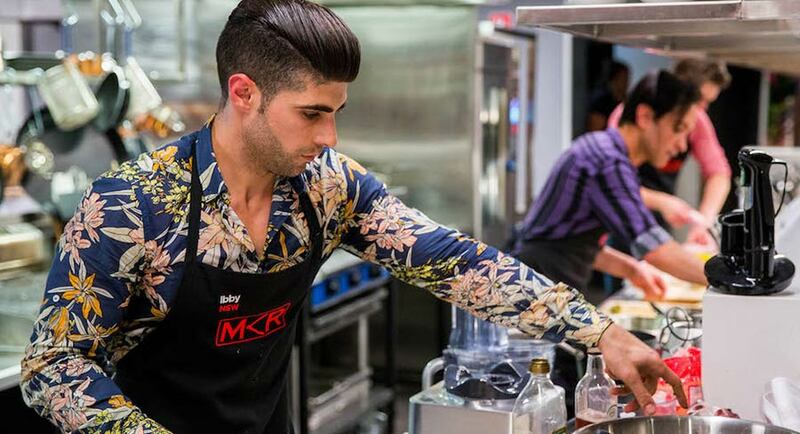 Ibby and Romel were the first team to make it after impressing diners at the MKR Restaurant. Sunday Night then did 442,000 after 400,000 a week ago. Following 60 Minutes was Australian Crime Stories featuring the notorious child predator Mr Cruel. The episode did 321,000 after 425,000 a week ago. 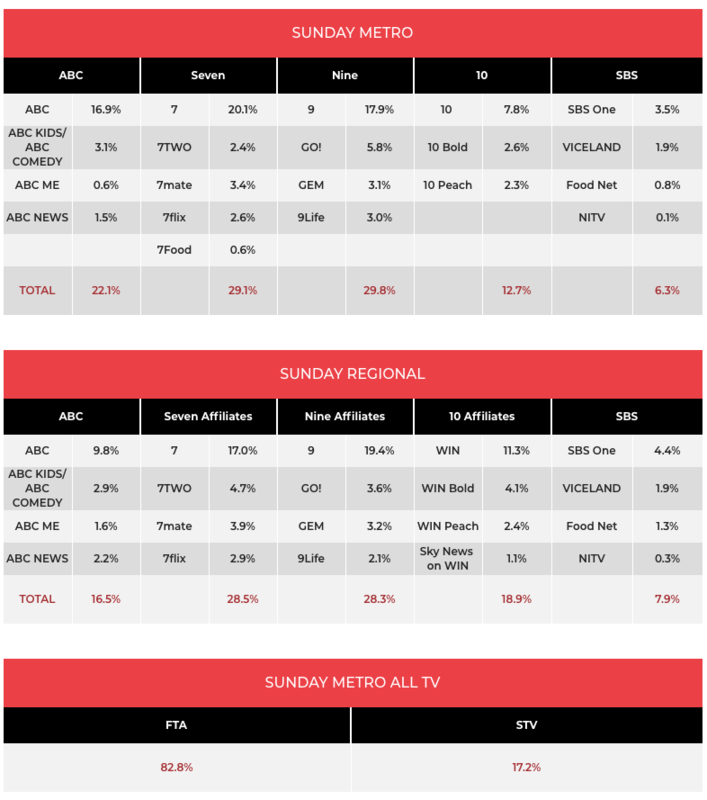 A Sunday share of 7.8% is the channel’s second best since February, which tells you how fierce the battle for viewers has been at the start of each survey week. The channel’s best was The Project, which was under 300,000 at 7pm. The final episode of the Sunday Night Takeaway experiment did 254,000, was well up on 161,000 a week ago. The series launched with 378,000 back in February. Hughesy, We Have A Problem was then on 224,000 after 198,000 a week ago. The Easter ratings break is always an opportunity for the channel to shine and it did last night with its best Sunday share of the year – 16.9%. It’s also the channel’s second best on any night this year. Restoration Australia was in McLaren Vale with a very ambitious project which proved you’re never too old to dream. The show ranked top 10 with 619,000. The start of series eight of Vera then did 729,000, which was a clear timeslot winner later in the evening. Episode two of Secrets of the Bermuda Triangle performed best with 162,000 at 7.30pm. Then SBS World News and 5.30pm regular Hunting Nazi Treasure both managed to outrate 8.30pm’s Avalanche: Making A Deadly Snowstorm.